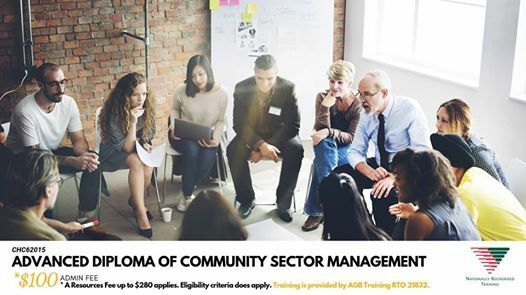 This CHC62015 Advanced Diploma of Community Sector Management reflects the role of workers who are middle managers or managers across a range of community sector organisations. These people work independently and report to executive management, directors or boards of management. They undertake a range of functions requiring the application of knowledge and skills to achieve results in line with the organisation’s goals and strategic directions. At this level, workers have responsibility for planning and monitoring service delivery, recruitment and performance management of other paid or unpaid workers, managing risk and contributing to continuous improvement within the scope of their specific role. 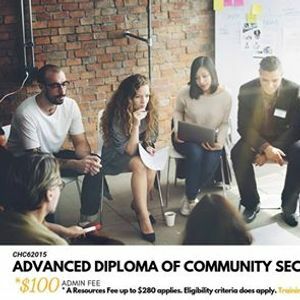 This may include management of a specific programs or project, or broader management of a community-based organisation, early childhood education service, not-for-profit organisation or community centre.